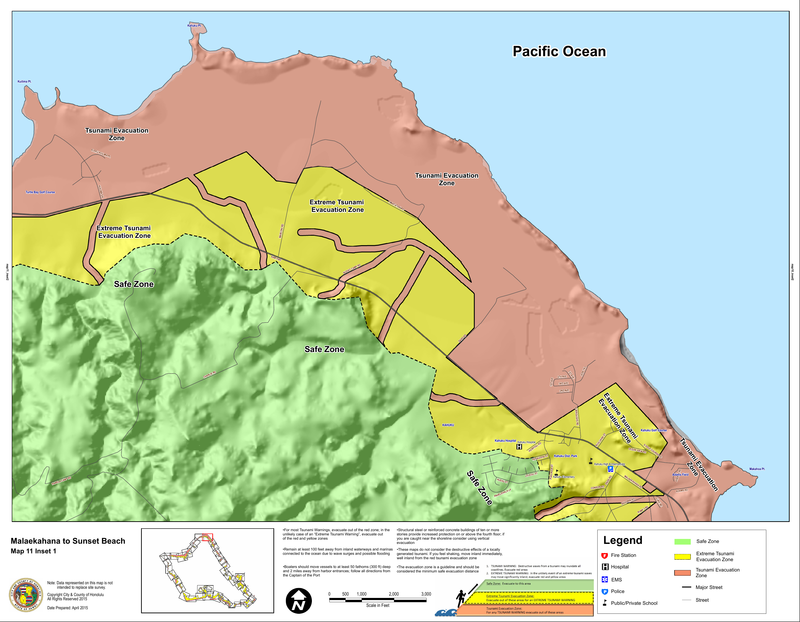 Map 3: Kealia - Alakukui Pt. 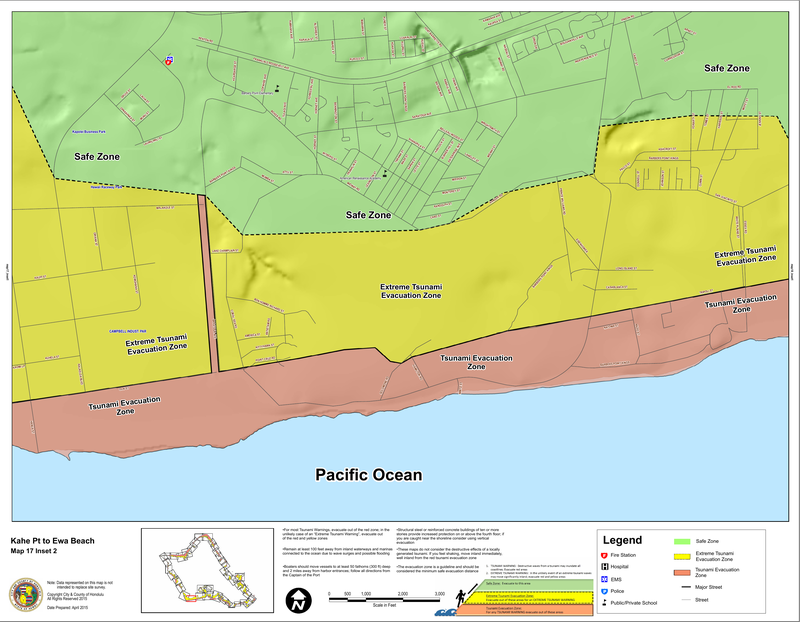 Map 4: Wailua - Kamilo Pt. 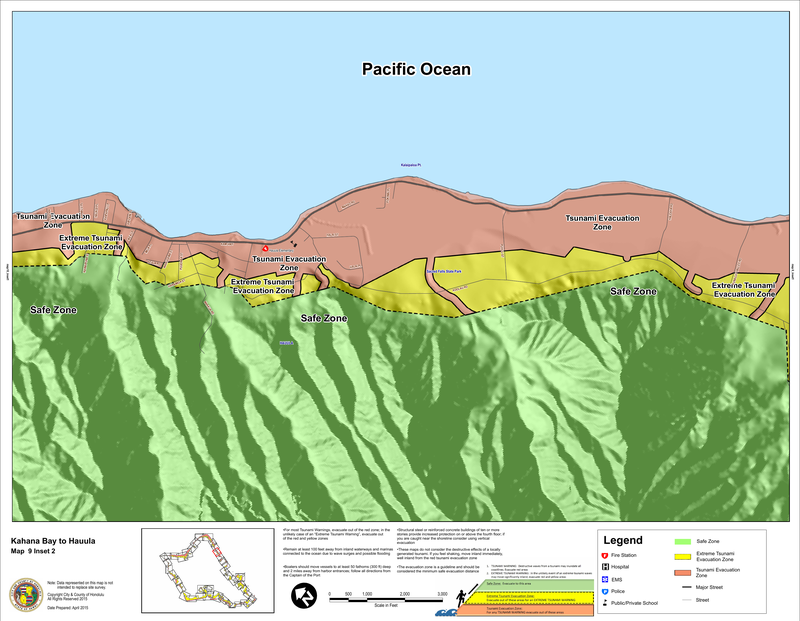 Map 5: Ninini Pt. 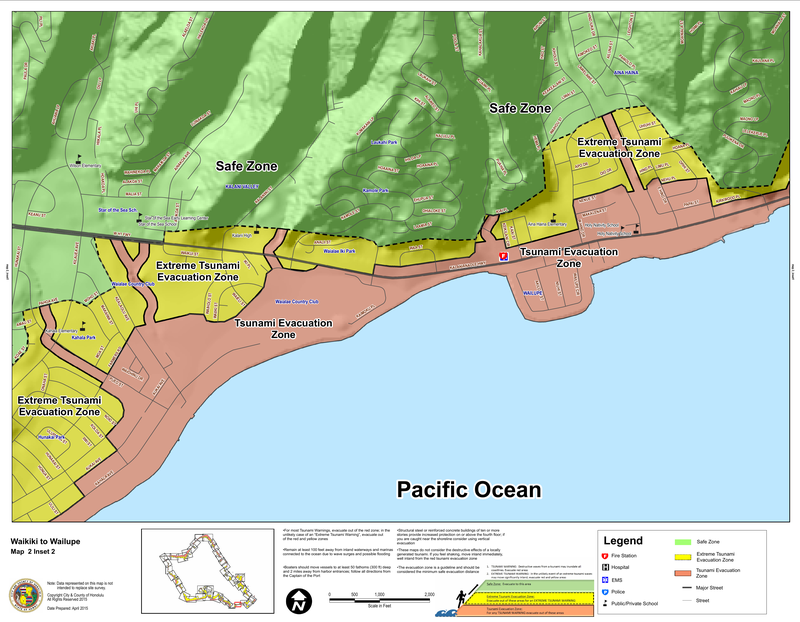 - Kamala Pt. 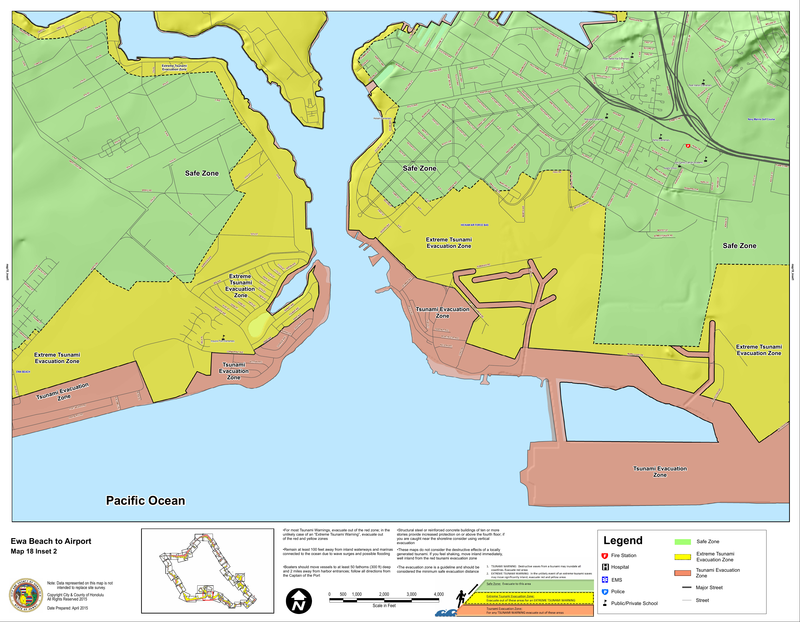 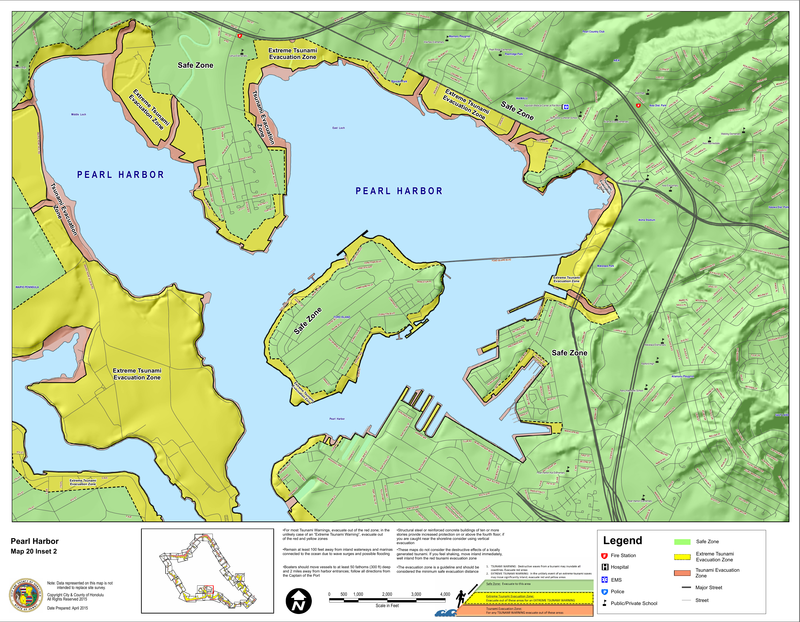 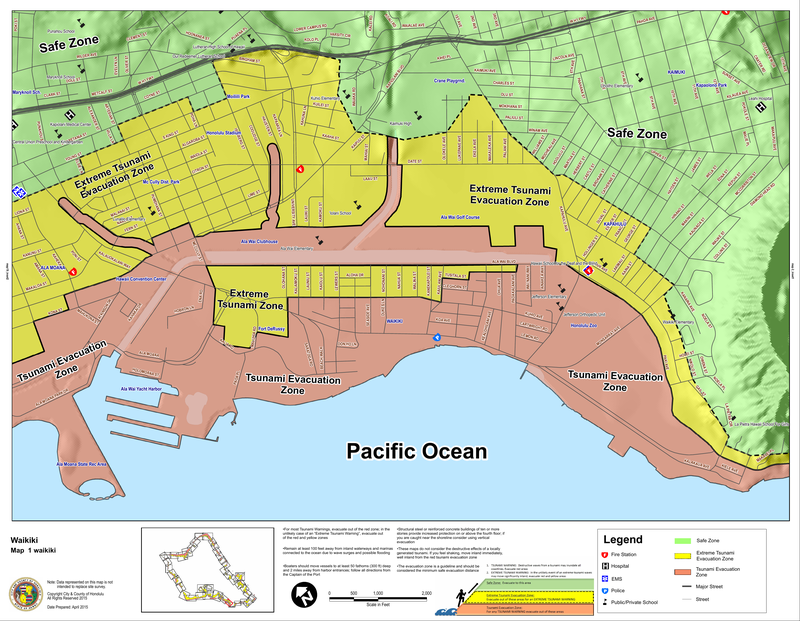 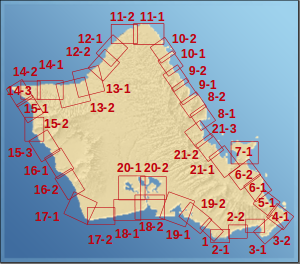 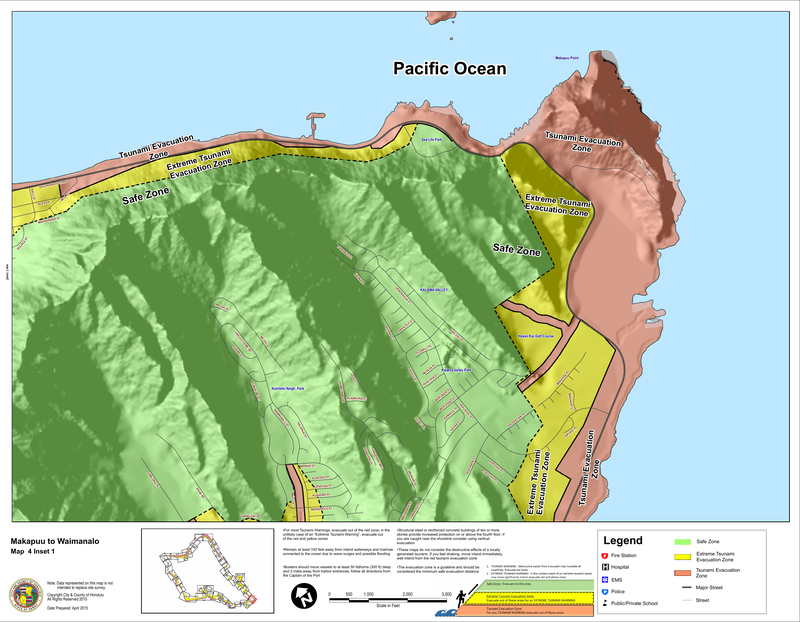 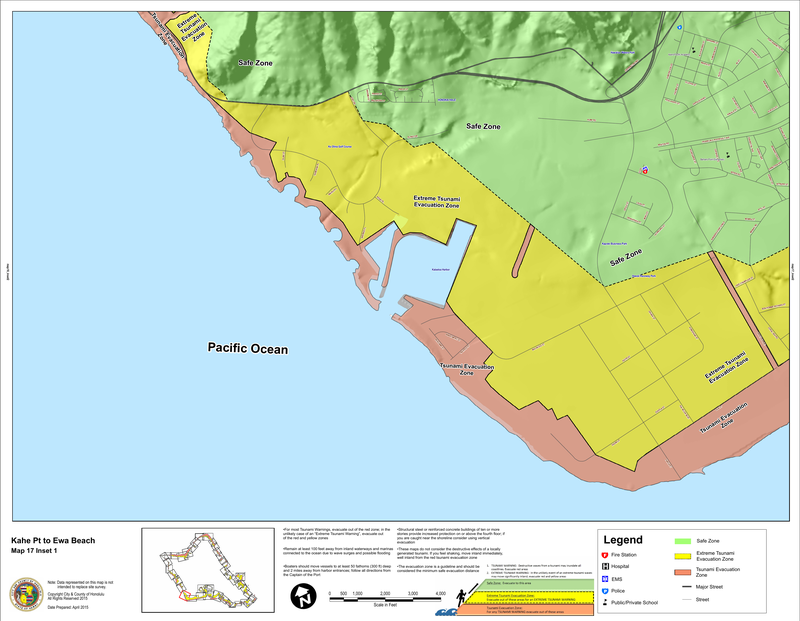 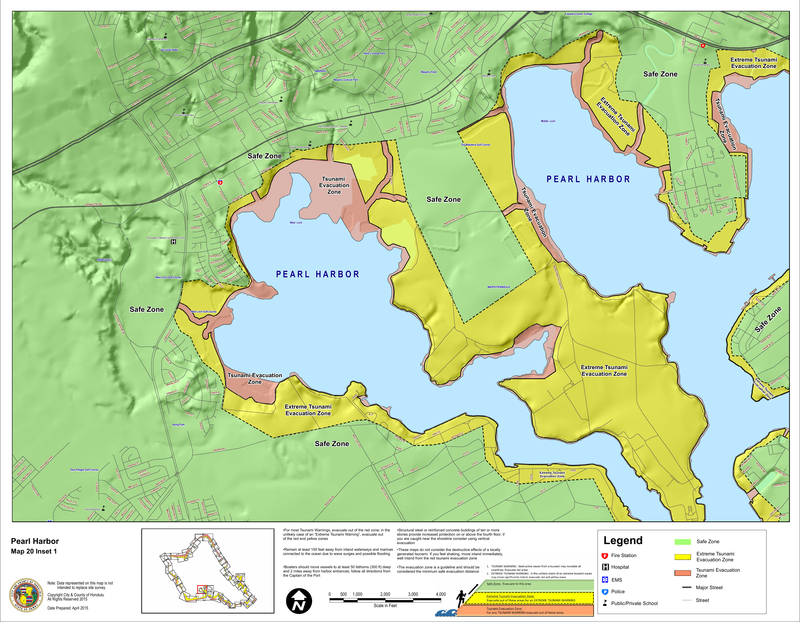 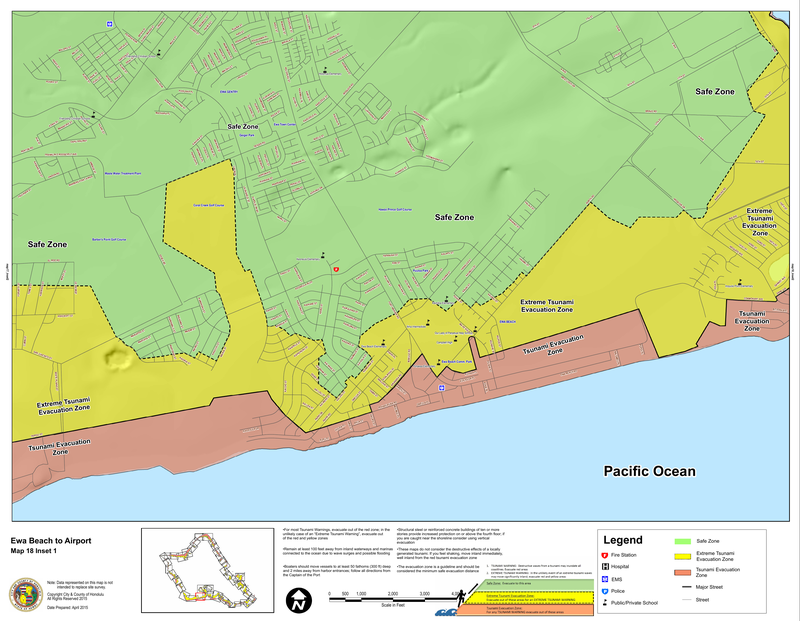 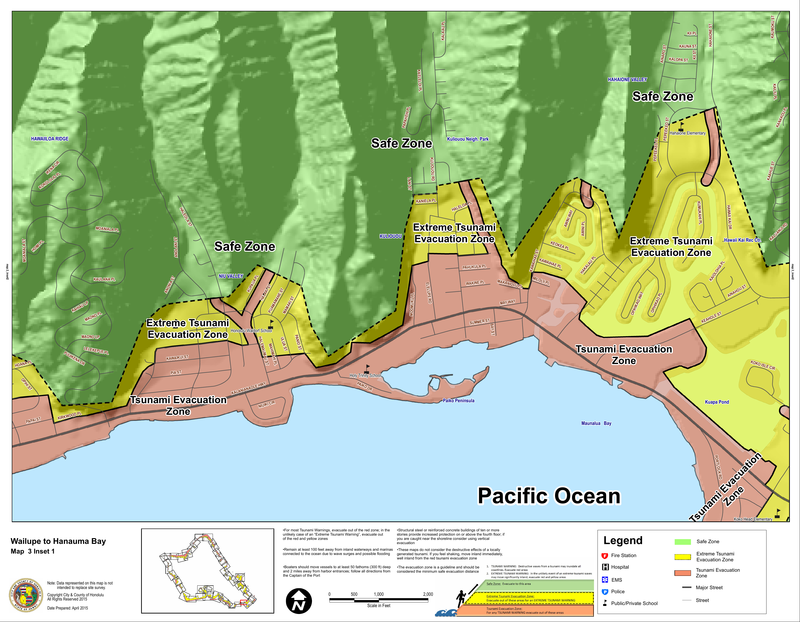 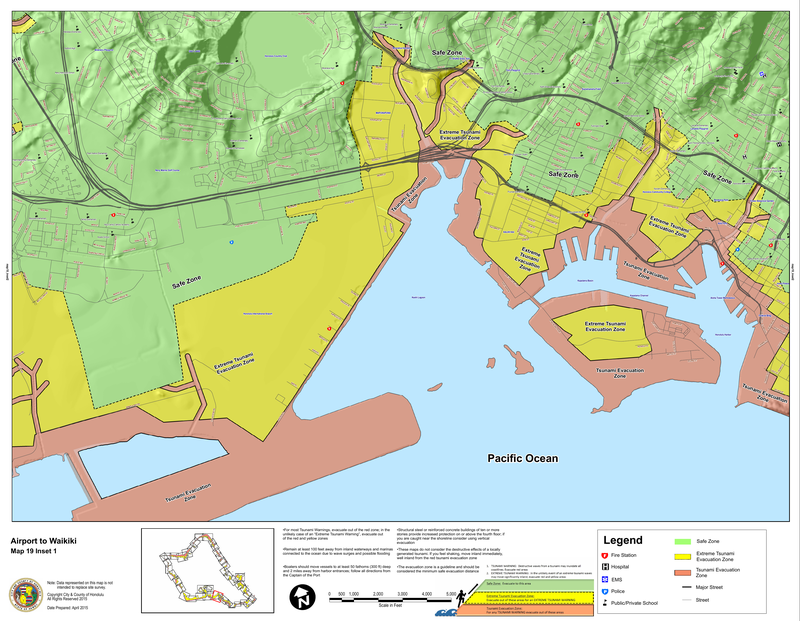 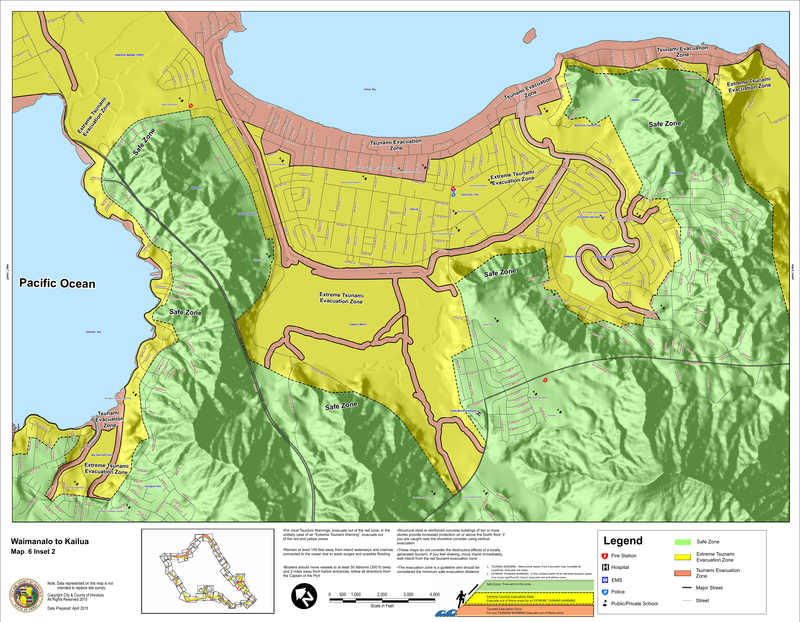 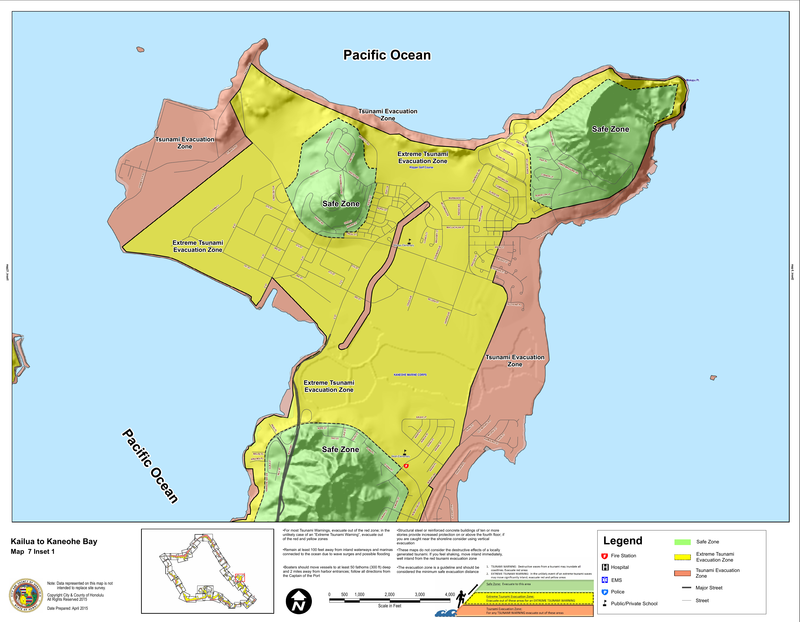 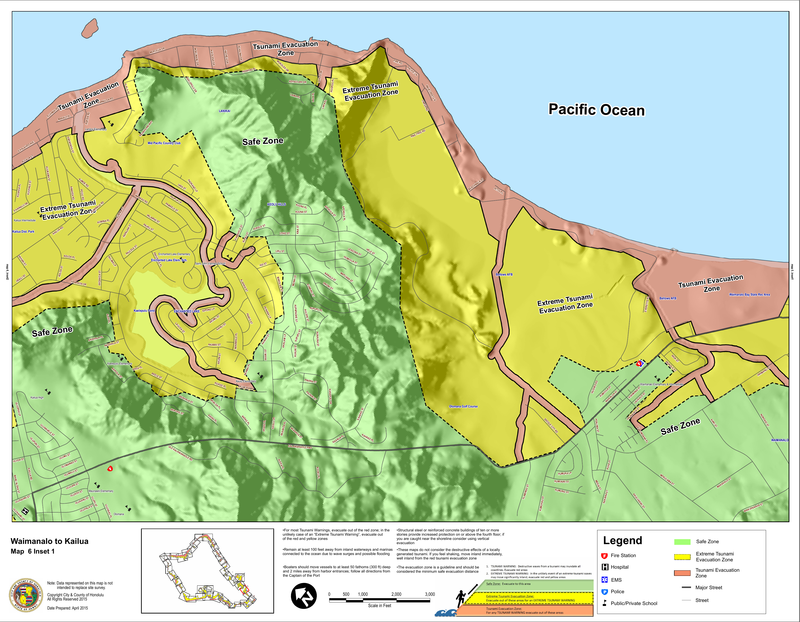 The Oahu extreme tsunami evacuation zones. 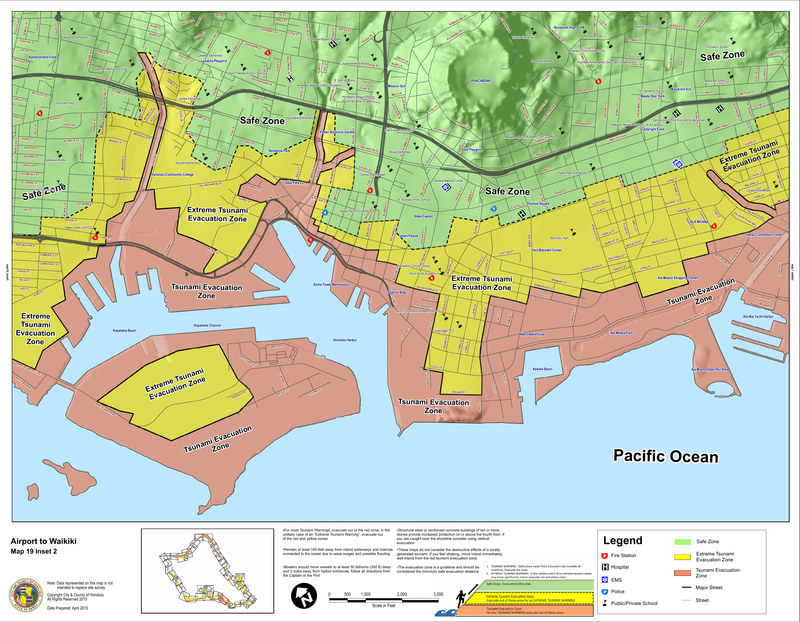 Visit The City and County of Honolulu Department of Emergency Management site for more information. 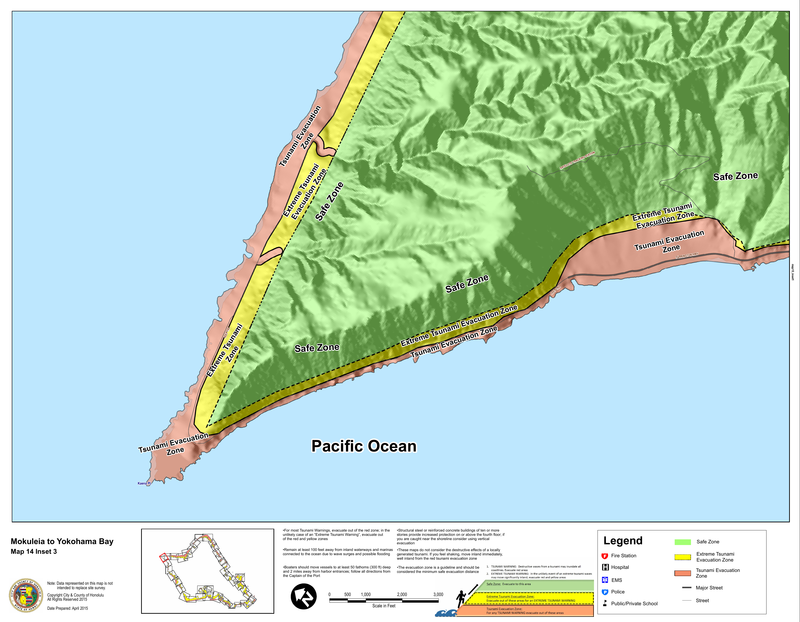 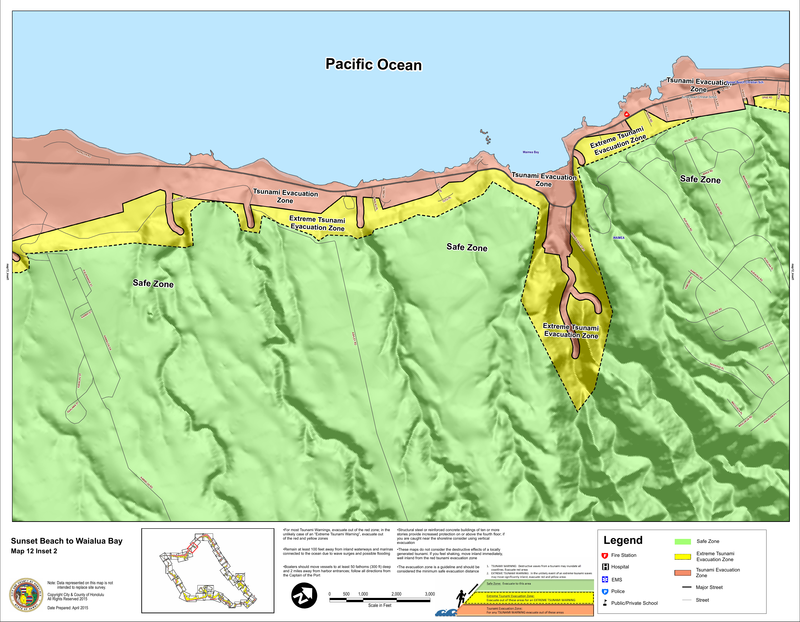 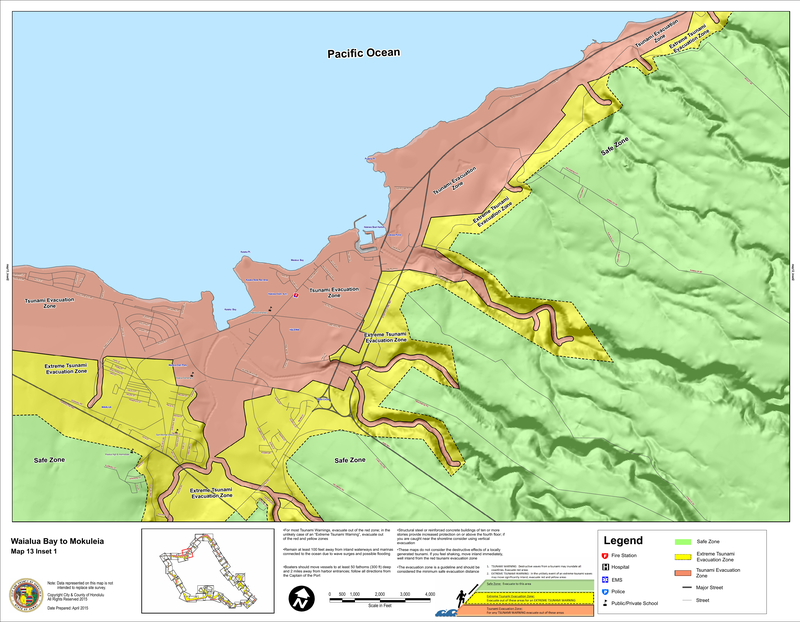 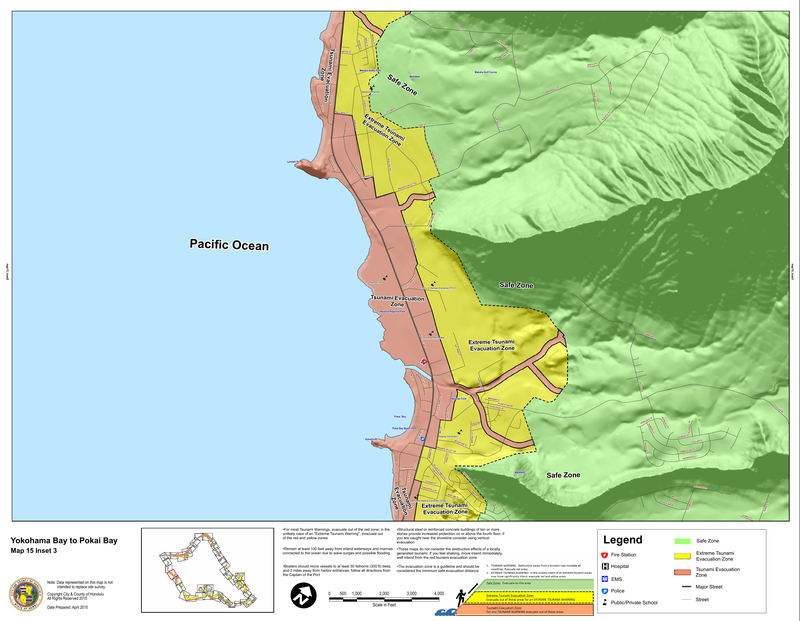 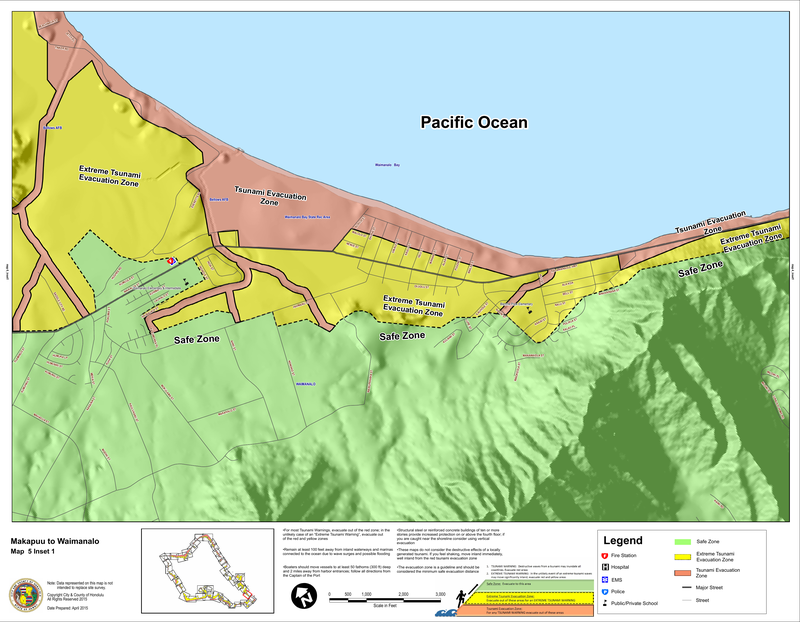 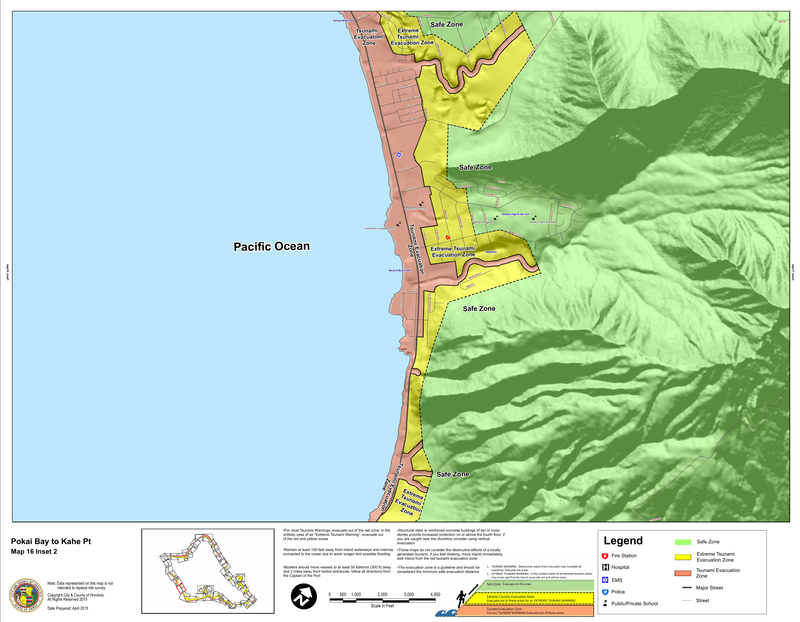 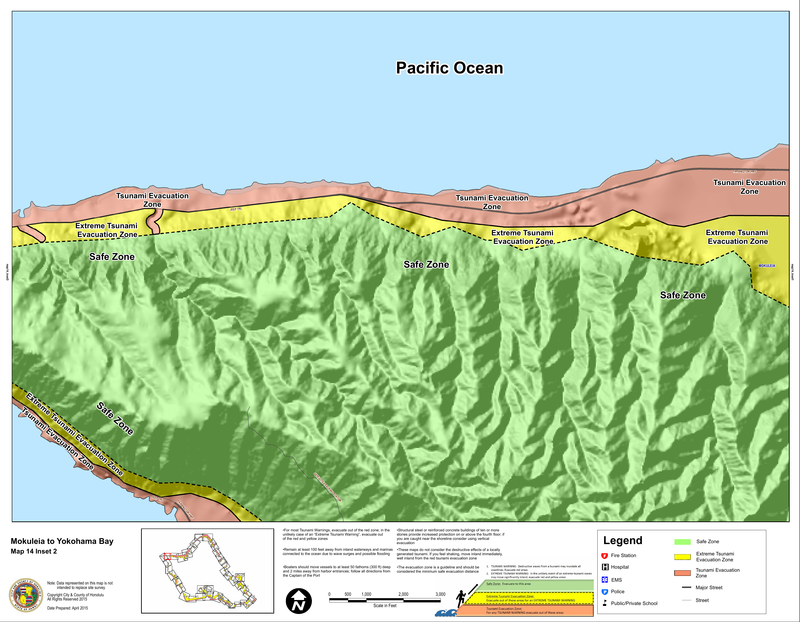 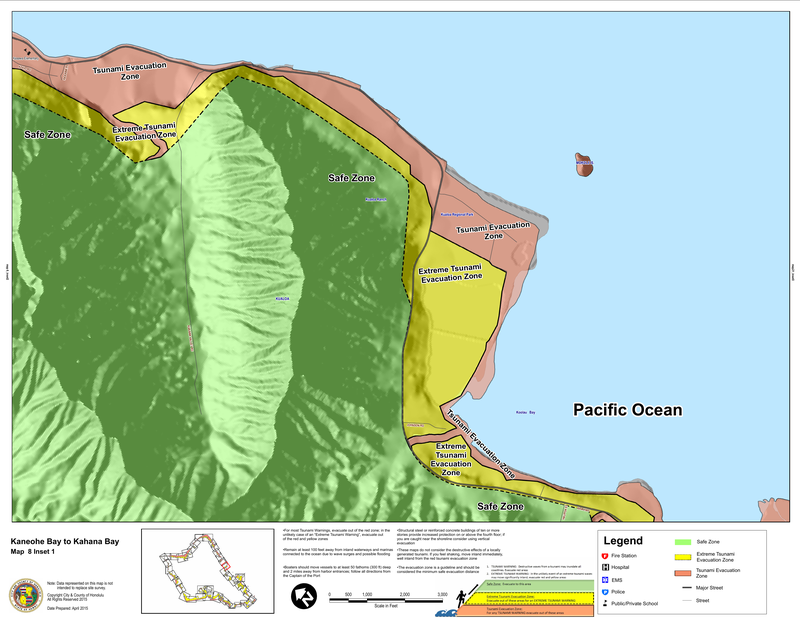 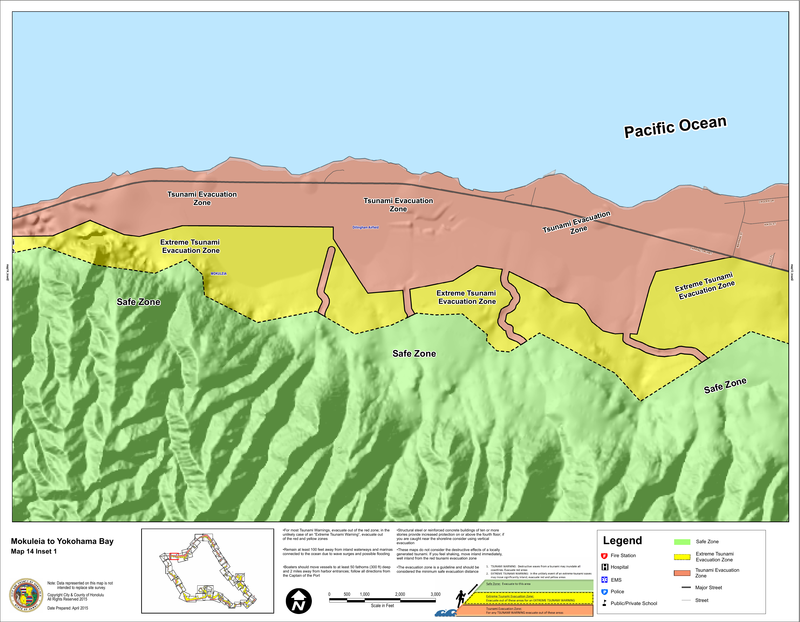 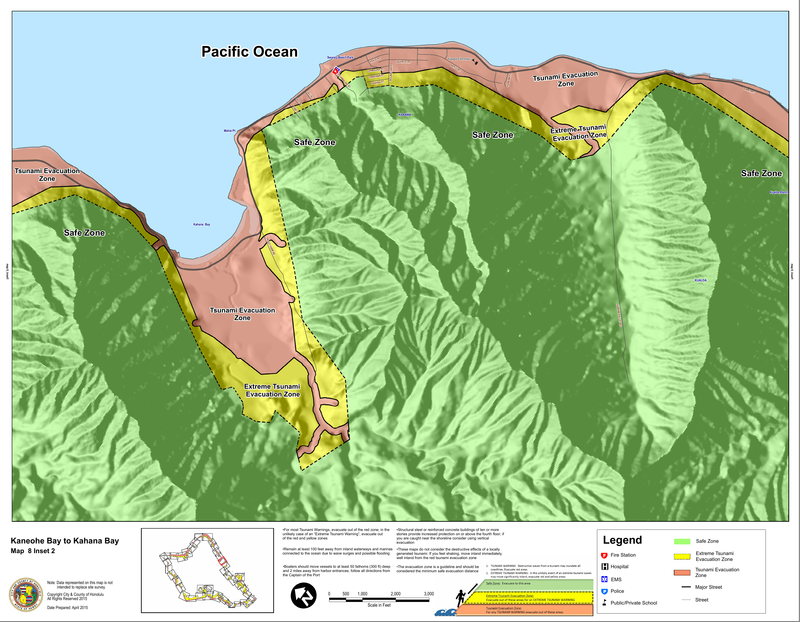 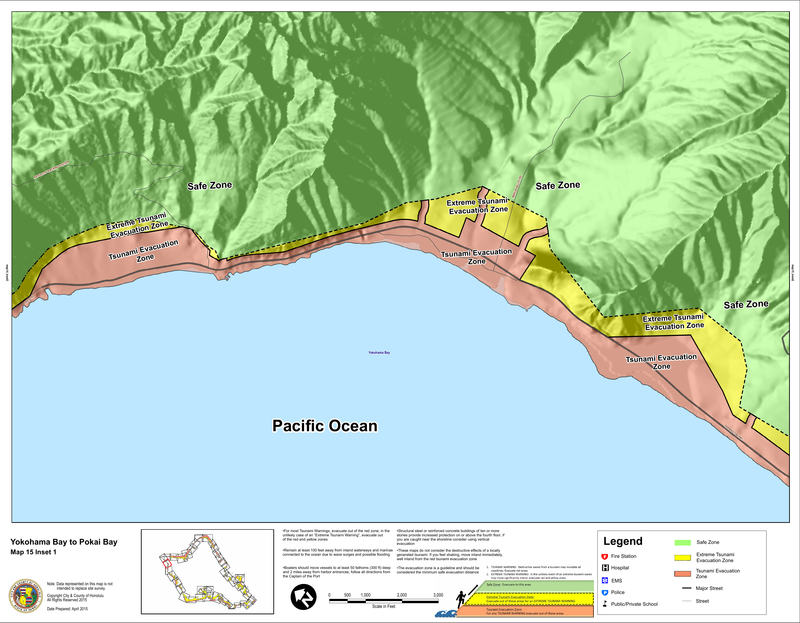 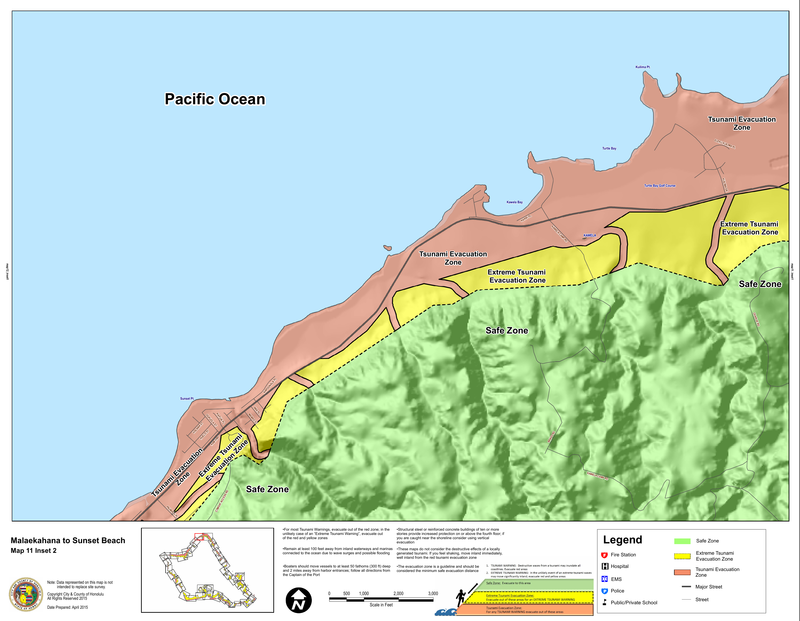 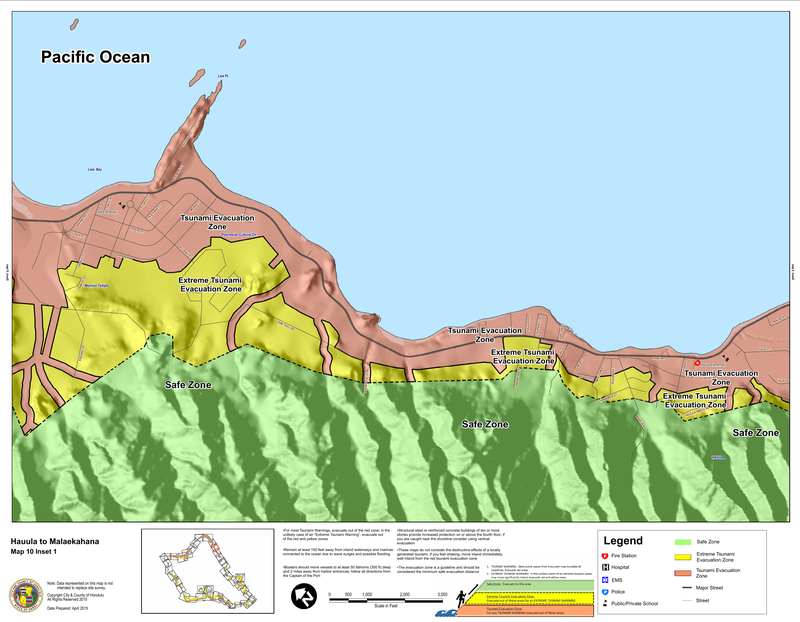 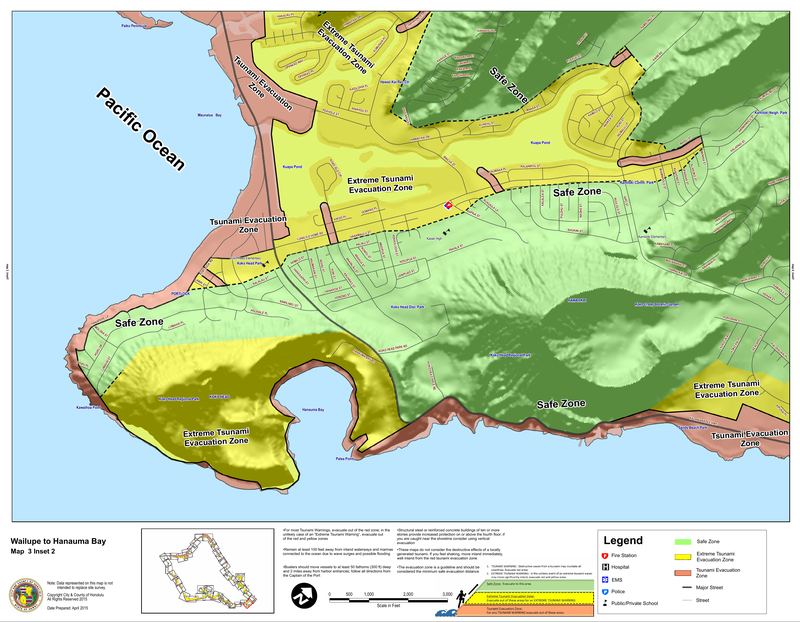 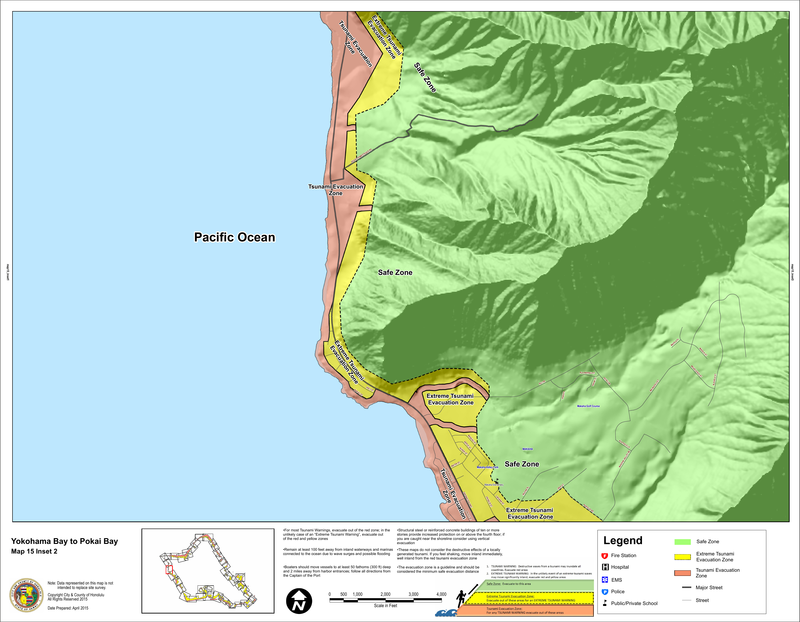 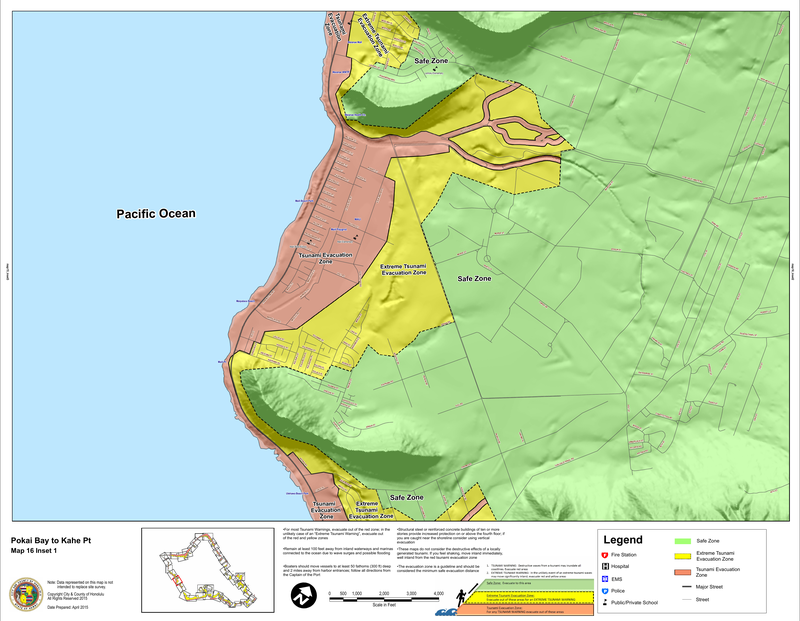 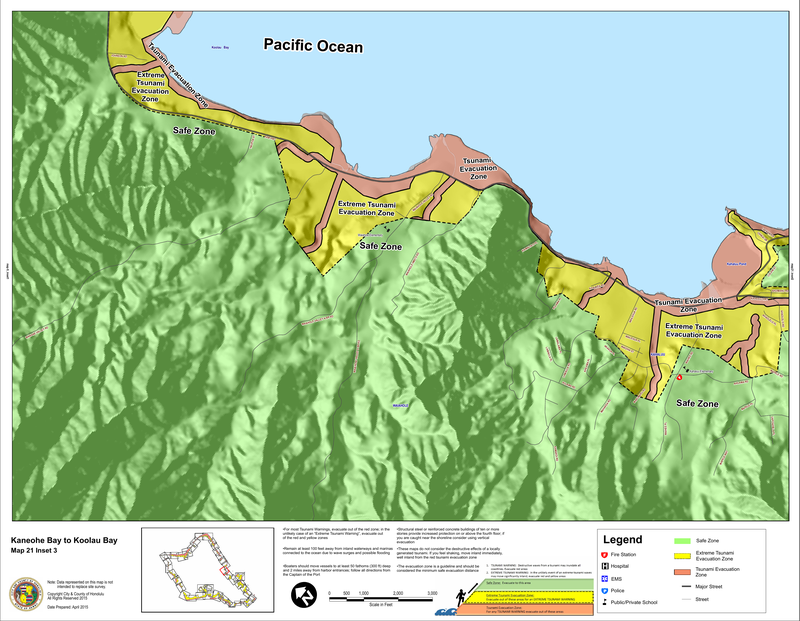 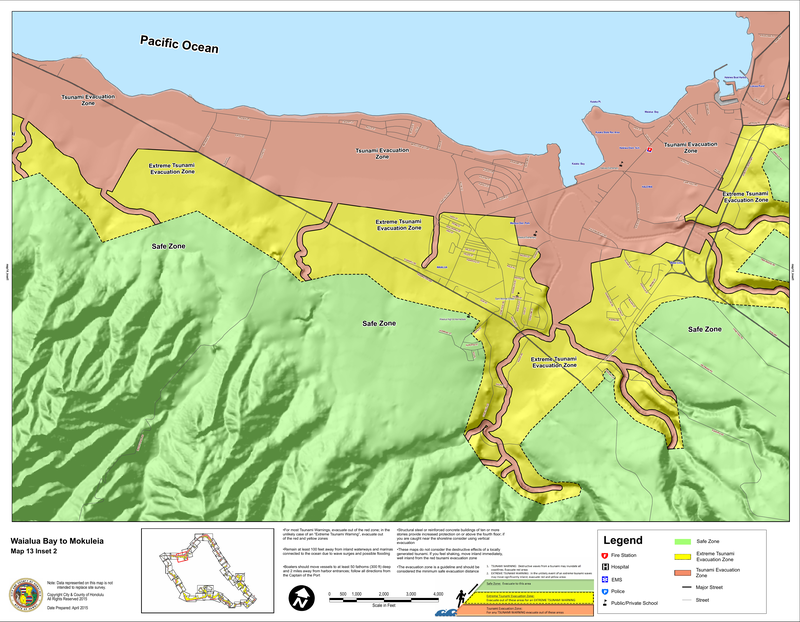 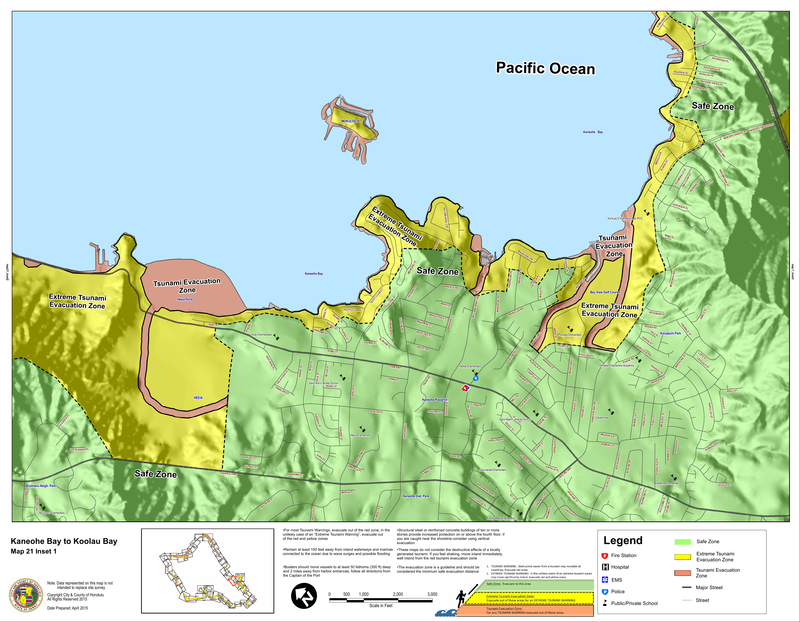 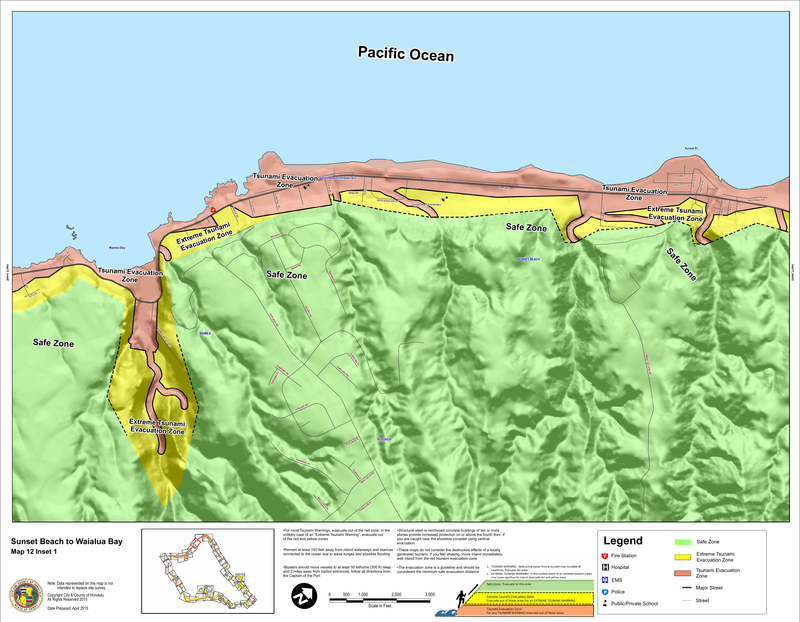 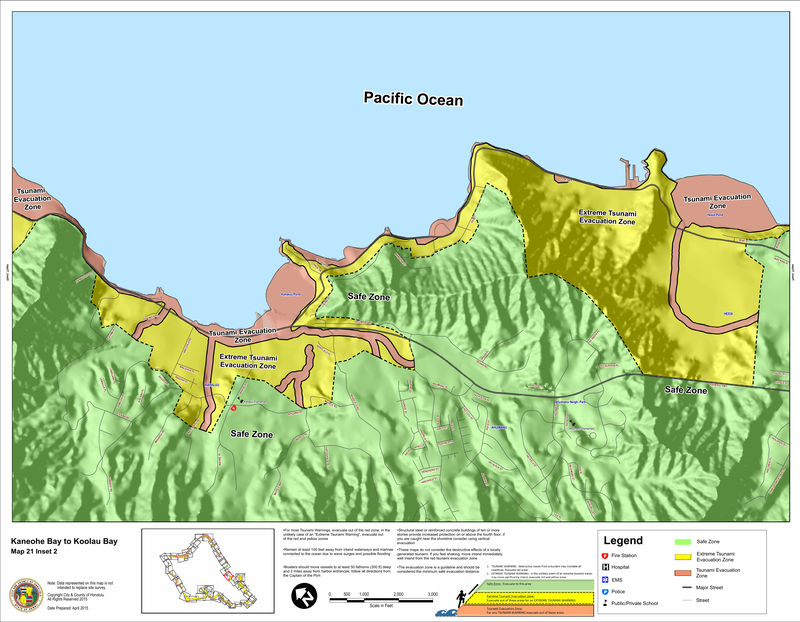 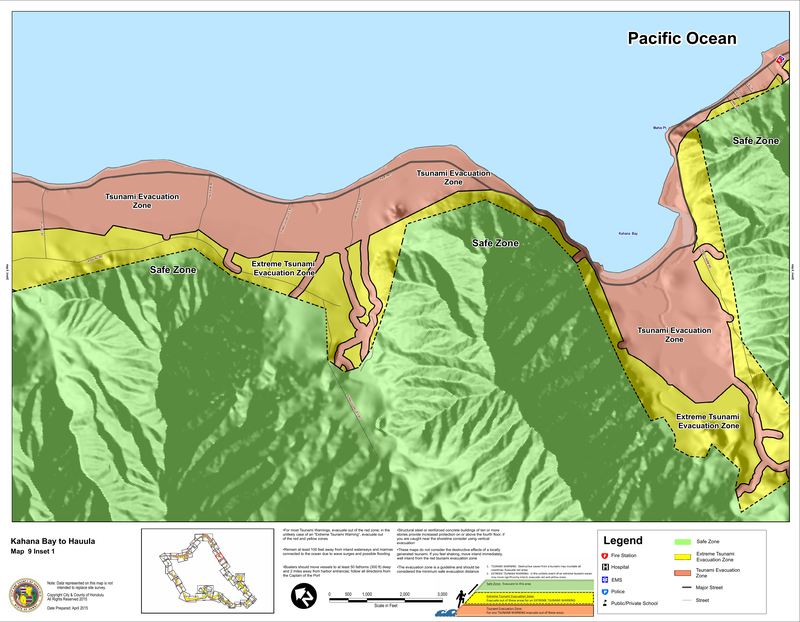 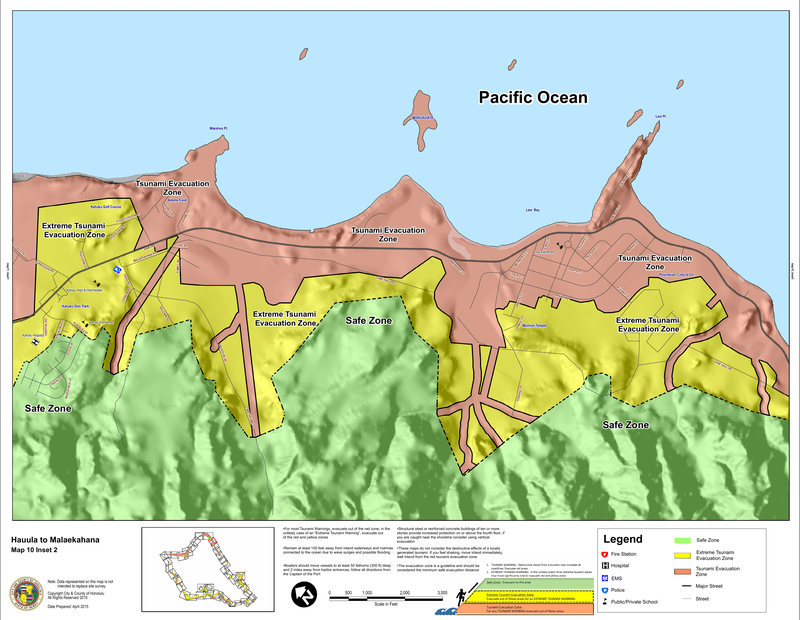 Please check for the latest tsunami evacuation maps at Maui County's Official Website.